Researchers have presented the first known case of a patient experiencing hemorrhagic stroke following consumption of an energy drink. Investigators at the University of Alabama at Birmingham have presented the first case study of a patient experiencing a hemorrhagic stroke — a brain bleed — following consumption of an energy drink. In an article in press in the American Journal of Emergency Medicine, the UAB physicians detail the case of a 57-year-old man who developed an intracranial hemorrhage within 15 minutes of drinking a popular energy drink. The patient presented at a local emergency department and was transferred to the stroke unit at UAB with symptoms of sensory changes (tingling and numbness) in the right arm and leg, along with ataxia (shaky gait and movement). A CT scan revealed a small hemorrhage near the left thalamus. 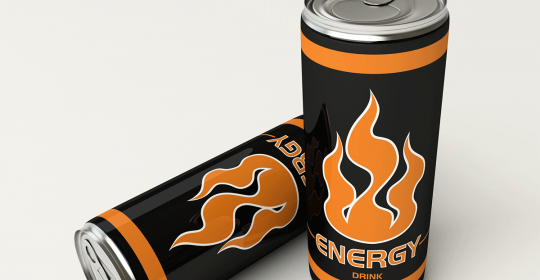 “The man reported that his symptoms began about 15 minutes after drinking an energy drink, the first time he had consumed this particular product, as he was about to do yardwork,” said Anand Venkatraman, M.D., a fourth-year resident in the Department of Neurology at UAB and the lead author of the study. Venkatraman says the drink contains a high level of caffeine, along with a variety of other ingredients, many of which are associated with increases in blood pressure. The sympathetic nervous system regulates what is known as the “flight or fight” response. When faced with an urgent, potentially dangerous situation, the body gears up to either take extraordinary action (fight) or run away (flight). Ingredients in the drinks that are suspected to influence the sympathetic nervous system include β-phenylethylamine hydrochloride, yohimbine and green tea extract. Another issue is serving size. The manufacturer’s label says the bottle contains two servings, but the patient reported that he drank the full 8 oz. bottle at one time, a behavior that Venkatraman believes is common. In this case, the patient had a history of elevated blood pressure and was at increased risk for vascular disease. Several months after the incident, the patient reported that he still had some residual effects from the incident.